in the box for installation instructions. to emphasize certain procedures or information. in installing or using the printer. is not performed exactly as described in the guide. fully to prevent possible injury. For your own safety, please read these carefully before using the machine. Do not place the machine in a hot, humid, dusty, or poorly ventilated environment. Prolonged exposure to these adverse conditions can cause fire or electric shock. such as curtains, that may catch fire. Throughout this guide, the four sides of the printer are referred to as front, rear, right, and left. Access panel for installation of Memory, Hard Disk (HDD), and Compact Flash. The maximum paper capacity with all options installed is 1800 sheets of 20 lb. (75 gsm) paper. The label in each paper tray indicates the maximum stacking capacity for certain paper types. are settings for each of the I/O ports including IEEE-1284, USB2, Serial RS-232, and Ethernet. Raise this when printing on paper larger than A4/Letter size. Contains the toner and the photosensitive drum. Open this when replacing the Toner Cartridge and removing jammed paper. Fixes the toner on the paper. Do not touch this when using the printer as it is hot. Transfers the toner image on the surface of the photosensitive drum to the paper. 1. Press the power switch to the <I> position to turn the power on. 1. Make sure that the printer is not processing a print job. 2. Press the power switch to the <> position to turn the power off. When the printer is turned off, all print data still in memory will be erased. The printer contains PCL5c, PCL6, and Adobe® PostScript® 3™ printer languages. PPDs are provided for Mac OS X (10.2 - 10.5) on the installation CD. and which paper types and sizes can be used in which trays. GSM indicates the weight of a 1 m2 sheet of paper in grams per square meter. sensed, you must select the size on the Operator Panel. See section “Paper Menu” on page 3-6.
from any tray. The custom size paper must meet the following guidelines. All Custom sizes must be fed short edge first. (215.9 mm by 355.6 mm) cannot be printed. and cannot be duplexed or output to the Offset Catch Tray. Submit to gain access to Custom Size settings. fuser temperature and slower paper speed in the printer. 1. Remove the tray from the printer. 2. Remove all paper from a tray before loading transparencies. 3. Fan the stack of new transparencies before putting them in the tray. 4. Insert the transparencies into the tray. 5. Adjust the paper guides to fit the transparencies. 6. Insert the tray firmly into the printer. Size for the tray to be used. paper type you wish to use. the fuser can melt some adhesives and possible damage your printer. 2. Insert the envelopes into the tray. 3. Adjust the paper guides to fit the envelopes. top of the envelopes toward the right side of the printer. Do not load more than 15 envelopes in Tray 1 or more than 80 in Trays 2 – 4. 4. Insert the tray firmly into the printer. type you wish to use, and select the size and orientation of the image to be printed. section “Available Paper” on page 2-9 for recommendations. printer. Do not use these types of paper. If acid paper is used, the characters might appear fuzzy. Replace it with alkaline paper. Paper that cannot be heated. 1. Place the paper tray on a flat surface. 3. If the base plate of the paper tray is raised, push it down. 4. Squeeze the length guide and slide it to the desired paper size. 5. Squeeze the right width guide and slide it to the desired paper size. 6. Fan the paper well. the right width guide is correctly aligned with the paper. Do not load paper exceeding the maximum fill line or the maximum capacity allowed. not be properly fed and may cause a paper jam. 8. Replace the lid of the paper tray and firmly close the lid. 9. Firmly insert the tray in the printer. 2. Remove the lid of the tray. 3. Slide the right and left lock tabs in the paper tray outwards to unlock them. tray move inwards and lock automatically. 5. Squeeze the length guide and slide it to the desired paper size. 6. Squeeze the right width guide and slide it to the desired paper size. 7. Load the paper with the side to be printed facing up and with all 4 corners aligned. 8. Close the lid of the paper tray. 9. Push the paper tray firmly into the printer. press START/STOP to continue printing with low toner. Do not subject it to direct sunlight or strong light. Do not touch the surface of the photosensitive drum. Do not stand or place the Toner Cartridge upside down. The drum might get damaged. 1. Open the top cover and remove the empty Toner Cartridge. 2. Take the Toner Cartridge out of the box and shake it 7 to 8 times as shown in the diagram. When pulling out the seal, pull it out horizontally. The tape might break if it is pulled out diagonally. After the seal has been pulled out, do not shake or bump the Toner Cartridge. 4. Hold the Toner Cartridge by the grip and insert it into the slot inside the printer. 5. Close the top cover securely. 6. Wait for the printer to become Ready. application settings supersede any other settings. text, each with a maximum of sixteen characters. The LED indicators indicate printer status. The table below explains the LED indicators. recovering from printer errors. The table below explains the functions of the nine push buttons. Move to the next menu, submenu, or setting within the same level of the menu structure. shown on the second line of the display. Enter the Status Menu and view the current status of various items on the printer. Return to the previous menu, submenu, or option within the same level of the menu structure. Move up one level in the menu structure to return to the menu shown on the first line of the display. When you press the MENU button on the Operator Panel, you enter the printer’s menu system. pressing the NEXT or PREVIOUS buttons. Additional menus and submenus may appear in the printer menu system when options are installed. SELECT, and RETURN buttons help you to navigate through the menus. 1. Pressing the MENU button on the Operator Panel enters the printer’s menu. The first line of the display contains the text “Menu”. 3. Press the SELECT button to enter the Paper menu. 4. Press the NEXT button until the text “Copies” is shown on the second line of the display. 5. Press the SELECT button to enter the copies submenu. 7. Press the SELECT button to save this setting. control the panel lock. Press and hold the key combination as power to the printer is turned on. combinations described in this table. User is not allowed to enter Menu mode. The remainder of panel functionality is available. Menus can be used to traverse to view menu settings. Menu items summaries can printed. No Menu mode changes are allowed. stored jobs in the Windows Driver. Items available in this menu are described below. select the desired file. Requires a password. directories and to select the desired file. page 4-19. Items available in this menu are described below. Prints the Job Accounting File. Sets number of copies printed. insert a sheet of paper into Tray 1. Select the paper output tray. Set the paper type and paper size. Selects the tray to configure. Sets the media size for the selected tray. “Auto Tray Change” on page 4-15.
on or off. See “Job Offset” on page 4-13. Offset Catch Tray is installed. selected. It does not scale a PCL job. then scale the job to fit the available paper. Prints a blank page between print jobs. paper on all four sides. The Interface menu provides a variety of options for port setup and network configuration. scanned for special binary control codes. cause a reduction in printer throughput. reduction in printer throughput occurs. to be processed by the PostScript interpreter. be intercepted per the Format item setting. Displays MAC address of network interface. the underlying protocol for “Bonjour”. may benefit from a setting of Off. Resets the menu to factory network defaults. communication mode (full or half duplex). networking hardware, usually a switch. before the printer terminates the connection. Choose to either print or not print PS errors. Choose the orientation of the page. Choose the source of the default font. Set the default font number. Change the default pitch of text. Choose a default symbol set. Change the default number of lines per page. Default value varies by paper size selected. return and a line feed together. Set the escape sequence for paper source. Set the escape sequence for paper size. Toner Low message is first displayed. both PCL and PostScript print jobs. setting applies only to PostScript jobs. Turn jam recovery on or off. use in diagnosis of a datastream problem. Prints a font list for PostScript or PCL. Set the day of the month. Set the time in seconds. Status information is printed on the Configuration Summary. displays the current amount of usage of the printer. version, PostScript version and images printed. This listing on the Configuration Summary tells you which options are installed on the printer. configuration is displayed in the Configuration Summary. printer by name, rather than IP address. IP address of the Domain Name Server. via the EWS when DHCP has been disabled. Name of the Domain used by DNS. zones. * uses the default zone. Page Counters are included in Status information. This counter reflects the number of images (sides) printed for the printer. This counter reflects the number of pages printed using the installed cartridge. equal one, while duplex pages equal two images. This counter counts images. Pages larger than A4/Letter are counted as two images. simplex mode and 4 images in duplex mode. 1. Place the Sharp Installation CD into your CD drive. 2. From the Control Panel, select Printers and Faxes. 3. Right-click in the printer list and select Add Printer. The Add Printer Wizard appears. The Local or Network Printer screen appears. The Select a Printer Port screen appears. The Install Printer Software screen appears. An Install From Disk dialog appears. • SPAN is for Spanish drivers. • W9X is for Windows 98 and Windows ME. • W64 is for Vista 64bit, Server 2003 64bit and Server 2008 64bit. • WNT is for Windows NT4. 11. Select either SHARP DX-B450P or SHARP DX-B350P driver, depending on your model. 12. The Name Your Printer screen appears. 14. The Printer Sharing screen appears. 16. The Print Test Page screen appears. feature the first time you install the driver. 1. Select the Printers and Faxes from your Start menu. 2. Right-click the desired DX-B350P/B450P printer and select Properties. The Printer’s configuration window appears. The Printing Preferences window appears. 4. Any options set in any tab become your default values. You can print a Test page to verify printer connectivity and operation. To cancel printing, you can either cancel the print job at the printer or at the computer. printed at the moment will continue to be printed. at the bottom right of the taskbar in Windows. 1. Select the Print option from your application. 2. Select the desired DX-B350P/B450P printer. 3. Click the Printer’s Properties button. The Printer’s Properties window appears. The driver screens are divided in to five groups of functionality as described in the table below. paper and input tray options. overlays, and control font substitution. Allows you to configure watermarks. As you create groups of settings in your Printer Properties, you can save that group of settings. save you time and effort when printing. 1. Set up your print job by choosing all options you wish to reuse in the Printer Properties. 3. Enter a Name for the saved settings. number of copies, you should also decide if those copies are collated. 1. Select the Main tab within your Printer Properties. 2. Select the desired orientation. You can choose Portrait, Landscape, or to rotate the page 180 degrees. You can choose the output tray where your print job will be placed. 2. Select the desired tray from the Output pulldown. installed. See“Paper Types” on page 2-6 for information about what paper cannot be duplexed. specify the room left for binding your book. 2. Select Book, Tablet, or Pamphlet 2-sided printing. 2-sided Book prints as shown below. 2-sided Tablet prints as shown below. Pamphlet Style prints as shown below. placed together, edge-to-edge, to create a large version of the print job. 2. Select the PosterPrint Document Style. 4. Enter the desired parameters. Enter the X and y axis enlargement and orientation. 2. Select the number of pages to print from the N-Up pulldown menu. 3. Check the Border box if a page border is desired. 4. Select the Order in which the pages should be placed on the page. distance specifies how far to move the page image over to allow for binding. You can select the input tray from which paper is used to print the job. Automatically Select will choose and available tray. fuse properly on the paper, resulting in dirty and poor quality printouts. selection or using the EWS. 2. Select the Paper Type from the pulldown in the Paper tab within your Printer Properties. 3. Ensure that the Paper Source is set to a paper tray that is loaded with the required paper. 1. Select the Paper tab. 2. Select the desired paper size from the Paper Size pulldown. Sizes” on page 2-6 for additional information about custom sizes. “Custom Sizes” on page 2-6. 2. Select the Paper tab within your Printer Properties. The Custom Size window appears. 4. Enter the paper parameters. 5. Name the custom size and add it by clicking the Add button. 7. Select the saved paper size from the Paper size pulldown. stock paper for the first page of the document while sending the document as a single print job. The paper must be the same size as the rest of the document. 1. Select the Paper tab within your Printer Properties. 2. Check Use Cover Sheet. 3. Select the Paper Source and Paper Types from the pulldowns. 2. Click the Fit to Page radio button. 3. Select the paper size from the pulldown. 2. Click the Zoom radio button. 4. Enter the desired value to scale the image. available tray that contains the same size and paper type. 2. Select Auto Tray Change. type specified from your computer. “X” is the tray number where the paper should be loaded. requested, press the START/STOP key to resume printing. resume printing if “Auto Tray Change” is enabled. factor in paper tray selection. If pages exist in your document that do not contain text, you may select not to print them. 2. Check Skip Blank Pages. Tray 1 can be used for manual feed. You must also set your Printer Properties for manual feed. 2. Check Tray 1 is Manual Feed. when using the PCL6 driver. This feature is not available for PostScript or PCL5e. specify that all elements of the output are effected. This prints everything with less print density. New Overlay will create an overlay when the print job is sent. 1. Access your printer’s properties from your application. 2. Select the Advanced tab within your Printer Properties. 4. Check Create Overlay and enter a name for the overlay. 5. Click OK to close the Overlay window. 6. Click OK to close the printer properties. 7. Click Print in the print dialog and the overlay will be created. or All But First Page. The Remove button deletes the selected overlay from the list. 1. Open any document in any application. 2. Select File>Print within that application. 3. Select the DX-B350P or DX-B450P printer. 7. Select the desired Overlay. Overlay options are: All Pages, First Page Only, and All Pages but First Page. 8. Click OK to close the Overlay window. 3. Click the Font Substitution button. 4. Select the desired TrueType Download Type. 5. Check Font Substitution checkbox. 6. Click New to add a new substitution or Edit to change an existing substitution. You can also delete and existing substitution or reset the substitutions to default settings. can be viewed online in the EWS or retrieved as a CSV file from the EWS or Operator Panel. ID supplied by the user from the driver. Name supplied by the user from the driver. The number of sides printed. The number of sheets (2 sided) printed. Date and time job was printed. How long it took the job to print. Number of sheets printed from each tray. Number of pages printed at this resolution. Page size printed. See * Additional paper sizes. The type of paper printed on. Name of the host that sent the print job. The status of the print job such as, printed, paused, or cancelled. If a job contains multiple paper sizes, additional columns are added for each size. Configure this feature using your Printer Properties. It is enabled at the Operator Panel or EWS. 1. Select the Job Handling tab within your Printer Properties. 2. Enter the User name and Job Account ID. and processed off line by the users accounting application. Library in the printer’s Operator Panel. allows a confidential job to be printed without being seen by others. When printing a saved file with password, the password must be entered in the Operator Panel. 2. Click the Retention checkbox. 3. Select the desired job handling function. 4. Enter the job name in the Job name box. 5. Enter password information, if desired. printing as needed using the Operator panel of the machine. This setting is used to hold a print job on the printer's hard disk after it is printed. Input four digits to set the Password/PIN for the printing job. text can indicate items that are draft versions, confidential, or other important marking text. settings or the settings of any configured watermark by clicking the Edit button. 1. Select the Watermark tab within your Printer Properties. The New Watermark window appears. 3. Enter the watermark text. The text is shown centered on the page. to appear only on the first page of the document. desired printer. The PPD is located on the installation CD. PPD installation may vary by Mac operating system. 2. Select Print & Fax from the Hardware menu. 3. Click + to add the printer. 4. Enter a name for the printer. 5. Enter the IP address of the printer in the location field. 6. Select Other from the Print Using pulldown. A browse window is displayed. 7. Browse to the CD to select the desired PPD. 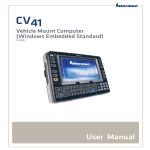 The Driver can be accessed from your application’s Print menu. printer settings set via your application, the application settings supersede any other setting. Printer features available towards the middle of the window. Selects the printer with which to print . Selects the presets with which to print. Defines number of copies printed. Turns the collate option on/off. Turns the two-sided option on/off . Determines the paper size to be printed. page number in the footer. Prints the page image upside down. Sets the paper type on which to print. Scales the page image to the size of paper being printed. Prints smaller page sizes on the current page size. Determines the order in which pages are printed. Options are: Automatic* default, Normal, and Reverse. Determines from which tray(s) paper is pulled. the rest of the print job. Provides settings to print the document at a later time. 600 DPI* default, and 1200 DPI. Options are: Printer Setting* default, On, and Off. page 4-15 for more information. Sets a variety of output tray options. page 4-13 for more information. This printer comes with an Embedded Web Server (EWS). The EWS resides in the printer and requires no installation. use your Printer Properties options within the driver. application settings supersede any other setting. IP-based network and have access to a web browser. area to locate the desired items and make any configuration changes in the display area. After each selection in the EWS, you must press the Submit button for the request to take effect. Administrator Login are shown in Italics. Browse to a file to be sent to the printer. Set time and date parameters. address automatically from your network’s DHCP server. You can make changes to the printer’s default network configuration using the Operator Panel. Once the settings for DHCP or IP address are changed, the printer automatically re-initializes. 1. Navigate through the menus to the Interface> Network 1 Setup sub menu. For more information, see “Interface Menu” on page 3-8.
through DHCP or manually entered through the Operator Panel. 1. Connect your printer to the network by plugging in the network connector. 2. Turn on your computer and allow it to power up. Summary lists the printer’s IP address. 4. Access the EWS as described in “Accessing the EWS” on page 6-1.
through the options to get the IP address. You must have administrative access to perform this function. Once the printer has an IP address, the printer driver can be installed. 4. Install the printer drivers using the CD-ROM included with the printer. 5. At the Select a Printer Port installation screen, click the Add Network Port button. The network interface configuration includes a menu for setting Hub Link Speed and duplex. parameters. When IP filtering is disabled, all network traffic is allowed. the incoming data does not fall into a predefined range, it is rejected. address is entered, it takes highest priority over any configured IP range. Leaving IP ranges disables IP Filtering. The address 0.0.0.0 is not allowed. DHCPv6, and the printer does not register its IPv6 address with DNS. parameters in a network device. and the second is the instance value, which specifies the particular instance of the object. get one of the parameters on an SNMP agent. SNMP-v1, SNMP-v2c, MIB-II, Host Resources MIB, and Printer MIB. must be set via the EWS for traps to be enabled. this printer by WJA other than that supported by Printer MIB. trap is generated to the Host application. Traps are sent only if Trap Host IP address is defined. It can be set through the EWS under the SNMP setup menu. You can add up to two Tray Modules. Tray Modules differ by model and can not be interchanged. The optional Tray Module (A4/Letter, 550 sheets) is available for this printer. before carrying out the operations. If not, you might get an electric shock. fall and result in injuries. Before installing the tray module to the printer, ensure that you have all of the following items. 1. Place the tray module to be installed at the lowest level on a flat location. Proceed to Step 5 if you are installing only one tray module. the base plate of the top module. The tray module must be lowered gently. Otherwise, the interior parts may be damaged. at the back of the tray module. Insert the fasteners securely. 5. Switch off the power to the printer. 6. Pull out the power cord from the power outlet and then the printer. original position if it’s raised (2). 8. Pull the paper tray out of the printer. 9. Lift up the printer by holding the recessed areas as shown in the diagram. The printer must be lowered gently. Otherwise, the interior parts may be damaged. printer. Insert the fasteners securely. 12. Push the paper tray completely into the printer. procedure for uninstalling one tray module. 1. Switch off the power to the printer. 2. Pull out the power cord from the power outlet and then the printer. 4. Pull the paper tray out of the printer. it from the tray modules. locations at the back of the tray modules. then remove it from the bottom tray module. This Tray Module is interchangeable with the standard Tray 2. Install this module to the printer to enable 2-sided printing. than the DX-B350P model Duplex module. carrying out the operations. If not, you might get an electric shock. 1. Switch off the power of the printer. 3. Remove the rear cover of the printer after pushing the two tabs as shown in the diagram. Next, remove the connector cover of the printer as shown in the diagram. the connector of the duplex module is connected to the connector of the printer. 5. Tighten the screws at the both ends of the bottom of the duplex module. 3. Loosen the screws at the both ends of the bottom of the duplex module. You must support the duplex module with your hand as once it is unlocked. Otherwise, it may fall. from the holes at the back of the printer. duplex module, until it clicks into the back of the printer. Install this tray to the printer to enable print jobs to be offset. Maximum capacity is 500 sheets. You can install an optional Offset Catch Tray to this printer. 3. Lift up the second lever from the top left corner of the back of the printer. 4. Open the rear cover. Do not touch any parts inside the printer. (1) and put it down to the top of the printer slowly (2). 7. Secure the screws at both ends of the bottom of the Offset Catch Tray. 8. Pull out the extension tray. 9. Close the rear cover. 3. Close the stopper and the extension tray of the Offset Catch Tray. 1. Ensure that the printer power switch is set to the OFF <O> position. 2. Disconnect the power cord from the wall outlet. 3. Remove the side cover from the printer. 5. Pull the inside panel away from the printer by the top edge. 7. Reinstall the side covers in reverse order (Steps 3, 4, and 5). 3. Remove the inside panel (see “Memory Expansion Module” on page 8-20). place to help guide the disk into the correct pins and to secure the disk in place. 6. If there is improper alignment, remove the Hard Drive and reinstall. Improper alignment will damage the hard drive and the printer. 7. Insert the plastic rivet through the aligned hole until it clicks. Steps 3, 4, and 5). drive. This has to be done so that the hard drive can be used. The installation of your Hard Disk option in your printer is now complete. 2. Ensure that the printer power switch is set to the OFF <O> position. 3. Disconnect the power cord from the wall outlet. 4. Remove the inside panel (see “Memory Expansion Module” on page 8-20). both sides of the Compact Flash are uppermost and insert into the socket. 8-20– Steps 3, 4, and 5). 8. When ready, the printer may advise to press the select key to format the Compact Flash. The installation of the CF Card option in your printer is now complete. Is the seal of the Toner Cartridge pulled out? Is the Toner Cartridge defective or damaged? Replace it with a new Toner Cartridge. Is the Toner Cartridge correctly set? Reset the Toner Cartridge correctly. Is the correct type of paper used? Load the correct type of paper. Replace with paper from a new ream. Replace with a new Toner Cartridge. Is it time to replace the Toner Cartridge? The feed route of the paper may be stained. Print a few pages to remove the stains. (especially when the humidity is low)? Is the paper correctly set? the levers at both ends of the Fuser Unit. the levers to their original positions. Is the power switched off? suitable voltage rating and current rating. Is the fault indicator lit? Is the print-ready indicator off? Transparencies are not printed clearly. Load the correct type of transparencies. Are the correct type of postcards used? Load the correct type of postcards. Are the correct type of envelopes used? Load the correct type of envelopes. Multiple sheets of paper are fed. Paper is fed at an angle. between each sheet before loading. Is the paper tray pushed in? Is the printer placed on a flat location? Place the printer on a stable surface. Did you print any picture postcards? Postcards are not printed clearly. Envelopes are not printed clearly. Shift the printer to a stable surface. Is the top cover open? Close the top cover tight. foreign objects inside the printer. each cause. When Warning messages are displayed, the printer continues to operate. There is no paper in Tray 1. Add paper to the tray. There is no paper in Tray 2. There is no paper in Tray 4. The Standard Output Tray is full. Remove paper from the tray. The Offset Catch Tray is full. user intervention is required before printing can continue. The top cover is open. Close the top or rear cover. The rear cover is open. Close the offset tray cover. Tray 1 is not in the printer. Tray 2 is not in the printer. Load paper into the tray. The main motor has failed. Load paper of the size and type noted. size and type is correct for the tray. restart the printer. Call service. between the printer and the host. mode when data is received. procedures and follow the instructions. environment and type of paper used. cover. Doing this will remove the error message. 1. Pull the paper tray out of the printer. pushed in again, the paper may be damaged. and the second level paper trays. 2. Remove any wrinkled paper in the paper tray. 3. Remove any paper jammed inside the printer. 4. Push the paper tray completely into the printer. 5. Open and close the top cover to clear the Jam message. 1. Remove any paper from the Standard Output Tray. 2. Lift the second lever from the top left corner of the back of the printer. 3. Open the rear cover. for any remaining torn pieces of paper. The Fuser Unit is hot. Be careful not to touch it as you can get burned. If you let go of the cover of the Fuser Unit, it will return to its original position. 5. Close the rear cover. positions they were in before clearing the jam. 6. Open and close the top cover to clear the Jam message. 1. Remove any paper in the Standard Output Tray. 2. Open the top cover to clear the Jam message. 3. Hold the Toner Cartridge by the grip and pull it out slowly. Then place it on a flat surface. and can be removed easily. If paper is torn, check for any remaining torn pieces of paper. 6. Hold the Toner Cartridge by the grip and insert it into the slot inside the printer. Do not touch any parts inside the printer. Ensure that the Toner Cartridge is correctly installed. 7. Close the top cover securely. remaining torn pieces of paper. 2. Open and close the top cover to clear the Jam message. cover of the duplex module. check for any remaining torn pieces of paper. 3. Close the top cover of the duplex module to clear the Jam message. 1. Open the Offset Catch Tray cover by pulling the tab at the top left of the cover. 2. Remove any jammed paper. 3. Close the Offset Catch Tray cover. 5. Remove any jammed paper. If paper is torn, check for any remaining torn pieces of paper. at both ends of the Fuser Unit are returned to the positions they were in before clearing the jam. 6. Close the rear cover to clear the Jam message. wish to, rerun the installation and select the desired utility. printer to accomplish specific tasks. Filtering in the Tools menu. You can view these files on the Hard disk via the EWS. bi-directionally with the printer to obtain status information about error conditions and status. These conditions are reported using “pop-ups” on the screen. affects all users of the printer. 1. Select the target printer. The printer must be installed on a Windows system to be a target printer. 2. Enter new tray IDs. without the use of Adobe Acrobat on the host computer and without using the printer driver. To start Direct PDF Print, right-click on the PDF document and select Direct PDF Print.